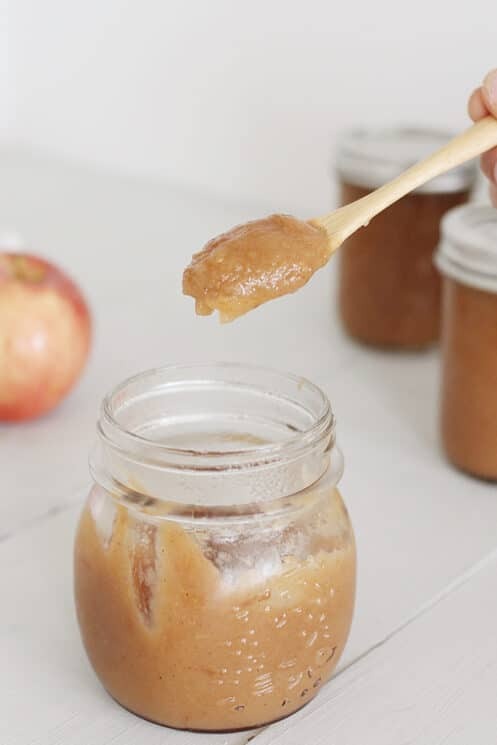 Thick, sweet, delicious homemade apple butter made in the crockpot or Instant Pot! 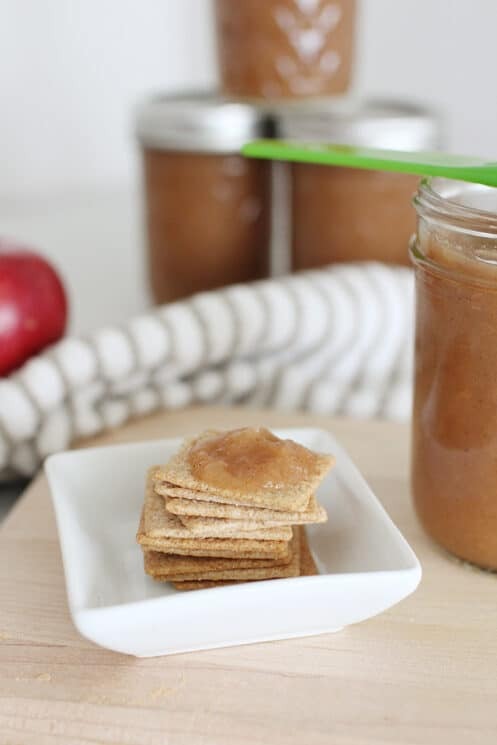 With this recipe any variety of apple can make a delicious apple butter. 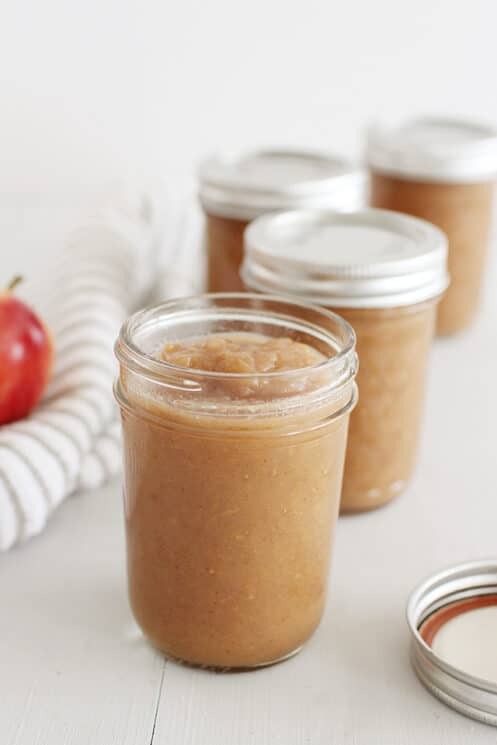 We love everything apple, and our readers especially love our Healthy Apple Muffins with similar Fall flavors as this apple butter. 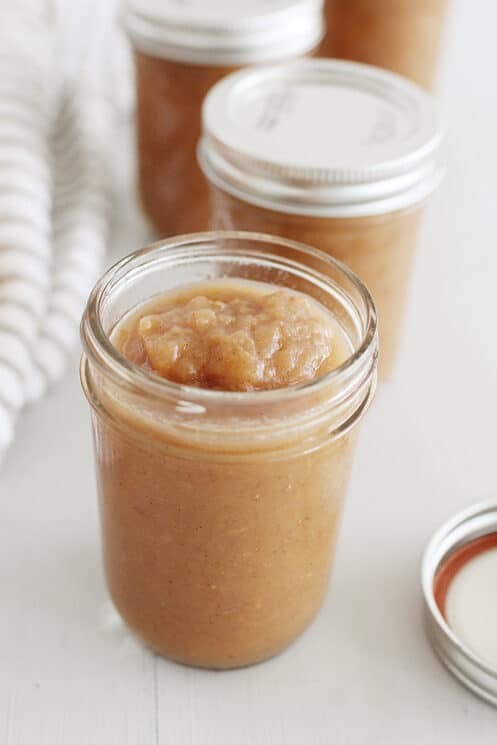 How do you make homemade apple butter? This recipe is so simple and the slow cooker or Instant Pot does most of the work for you. Core and slice apples, and add to your slow cooker or Instant Pot. Add the remainder of the ingredients and pour over the apples. Slow Cooker: Cook on low for 6-8 hours in the slow cooker. Allow apples to cool and strain some of the liquid. Pour mixture into a blender, and blend until smooth. Instant Pot: Set to manual at high pressure for 8 minutes. When it’s finished, allow pressure to naturally release for 10 minutes. Use an immersion blender to blend until the mixture is smooth, or pour into a blender and blend until smooth. Pour the blended mixture back into the Instant Pot. Set to ‘saute’ and simmer until thickened to desired consistency, 15-30 minutes. Mcintosh – This apple has a deep red skin and is tangy, tart and has a white flesh. They tend to breakdown when baked, so they are perfect for applesauce and apple butter. Braeburn – These apples are more tart than sweet, and are less juicy than some. Jonagold – These apples are tart with a hint of sweet. Gravenstein – This apple variety comes in yellow and red varieties and are delicious for apple butter with a cross between sweet and tart. 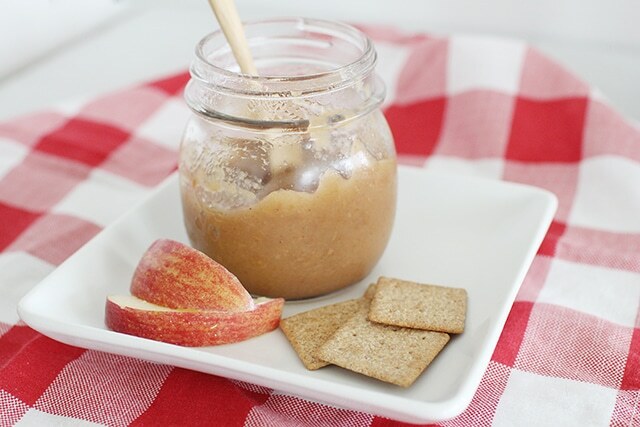 What can you use apple butter for? 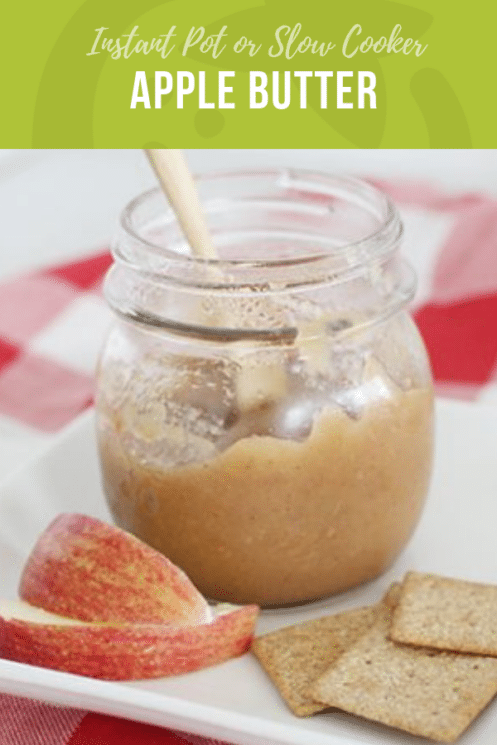 A lot of people might not know the difference between applesauce and apple butter. 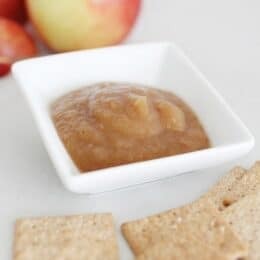 Apple butter is a highly concentrated form of applesauce that is cooked until the sugar in the apples caramelize giving it a darker brown color. It is thick and smooth with delicious spices like cinnamon and cloves. How long can you store apple butter? There are lots of ways to store apple butter. Depending the method you choose is how long it will stay good for. Love Apples?? We do too! Core and slice apples and place in crockpot (if you don’t have a high powered blender, you may want to peel your apples to make sure you get a smooth consistency). Add apple juice, lemon juice, vanilla, brown sugar, cinnamon, nutmeg and salt to a small bowl. Whisk together, and pour over apples. Allow apples to cool; strain some of the liquid out. Place into a blender (you may need to split it up into smaller portions). Blend until smooth. Set to manual at high pressure for 8 minutes. Allow pressure to naturally release for 10 minutes. Use an immersion blender to blend until the mixture is smooth, or pour into a blender and blend until smooth. Pour the blended mixture back into the Instant Pot. Set to ‘saute’ and simmer until thickened to desired consistency, 15-30 minutes.